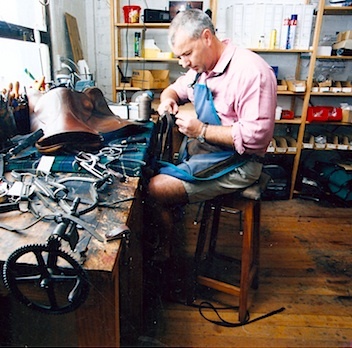 Bla ir's father Eric was the first to take up his leather working tools as an apprentice to saddlery firm Thompson and Son in Gisborne in 1938. His career was disrupted in 1941 by his service overseas during WWII in Radar operations in the British Navy before he returned to his trade in Gisborne. In March 1960 Eric set up his own business in Wairoa, primarily catering for stockmen and hunters. Eric's son Blair served his saddlery apprenticeship under his father who taught him all his expertise and knowledge. Blair's saddlery training stands him in good stead when it comes to repairs. He is a qualified Prestige and Australian accredited Saddle Fitter. Saddles are sent to him from all over New Zealand for his expertise in this field. Blair is available for on site and off site saddle fittings and is here to help with repacking and a variety of repairs, as well as running a full workshop. Where the best and the boldest riders take their place. Hastings - based Forbes and Co have been providing a full range of equestrian gear and clothing to its customers for more than four decades. 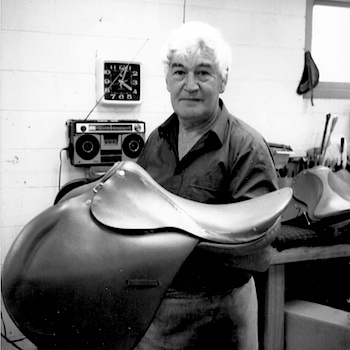 The 2nd generation saddlery business is well known in Hawke's Bay, helped by a full sized model horse standing on the roof of the companies showroom and workshop in Maraekakaho Road, near the Stortford Lodge roundabout. It's not the first roof it's stood on in Hastings. For more than 20 years it stood surveying traffic and pedestrians on Nelson Street, Heretaunga Street West and Karamu Road until Forbes and Co moved to their new showroom at Stortford Lodge six years ago. Owner Blair Forbes says the firm's main role is supplying the equestrian sector with saddlery and strapping gear, riding clothing and hats including riding boots from Ariat,( these quality boots are remarkedly well priced!) gift ware, herbal alternatives, vitamin and mineral supplements, providing new saddles and equipment, and undertaking repairs. We are also the outdoor clothing agents in Hawkes Bay for R.M.Williams, Akubra, Selke and Outback. Over the years the company has evolved to specialize more in saddlery and outfitting men and women with everything from hats, oilskins, moleskins, jeans, shirts and polos. Our website will showcase products available worldwide. Our goal is to maximize rider's enjoyment of their sport and to enhance their performance in doing so. Our staff have a wealth of knowledge and are dedicated to delivering quality products and services to all of our customers.